From a young age, I can always remember having a keen interest in Motorsport. I spent many Sundays in front of the telly watching Formula One and where possible I loved going to see the action live at my local circuit, Brands Hatch. The passion for racing really sparked when I attended a karting party in the soaking wet at Buckmore Park at the age of 8, after that day (and lots of spinning) I was hooked. As soon as I got home I begged my parents to take me back racing, and after some persuasion, they agreed. I started off in the Buckmore Junior training program which enabled me to join their “Junior Rookie Series”. At that time it was run by the famous Alan Wood (AKA Mr Buckmore). After competing in the novice Rookie Series with fairly average results, I progressed onto the Junior Club. Again, I started off fairly average but, over time my confidence grew and I began to start getting the odd heat win and eventually a few podiums. In my opinion, the Junior Club really does supply a young person a fantastic way to learn racecraft and experience competitive racing for a significantly smaller outlay when compared to owner-driver racing. 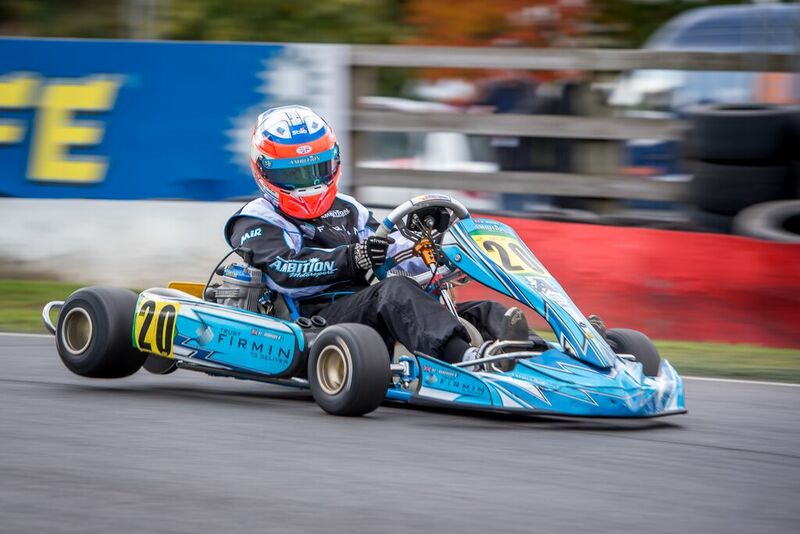 However, personally, I think the most important thing about Junior Club is to just enjoy the racing, at this point for me I didn’t have any aspirations to progress my racing any further, I just really enjoyed karting. The transition into owner-driver karting started when I met Paul Janes from Ambition Motorsport at the annual Buckmore Park Star Pupil event, he was judging alongside Jody Fannin, who races in the VLN Endurance Championship (Jody also started off in the Buckmore Junior Club). After a few discussions with Paul, we organised a test day at Bayford Meadows in a Mini Max 2-stroke kart and also a 4-stroke Junior Subaru. I will be the first to admit that I literally struggled to get to grips with the Mini Max kart, as I spent the majority of the day facing in the wrong direction but I survived, and fortunately, I did not break Pauls kart. I was more controlled in the Junior Subaru as it was more familiar to what I had raced before, albeit still a step up. It was then decided that I would enter the Subaru class, which would allow me to have a “learning year”. In my first year of owner-driver karting I achieved some good results with a few podiums and the odd win (also a couple of on-track incidents, but I’ll gloss over them) but mostly, I did a lot of learning. 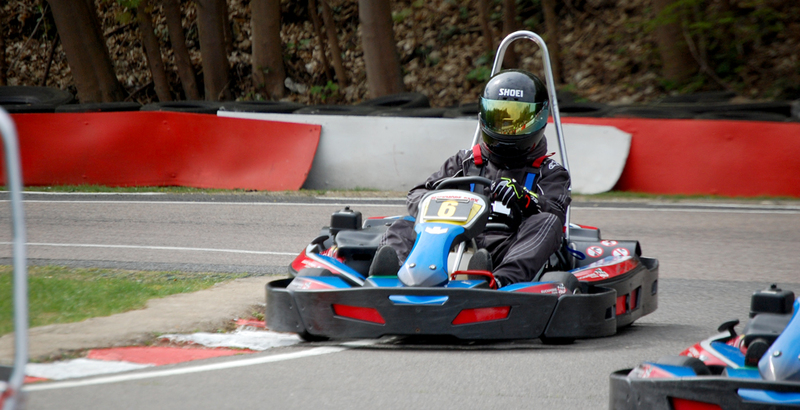 A particular highlight was a 5th place finish in the Kent Kart Championship. What I concluded from that first year of owner-driver karting was that if I could keep it on the black stuff, I could be pretty good. Going into my second year of karting I had matured (a bit) and I started to win more regularly, finishing in the top 3 of multiple local championships. At the age of 15, I made a big step into seniors and the ultra-competitive Senior X30 Championships. It was a massive leap from competing in Regional Championships racing against 20 of your mates to competing in National Championships with 90 drivers representing the best from Europe, Asia and even America. The racing was next-level intense and there was usually only 8 tenths covering 1st to 90th on the grid, it was incredibly competitive. In those years racing as a senior, I won back to back Buckmore Park Club Championships. I also finished 34th out of 150 drivers in the TVKC Championship. When I look back, those years of racing seniors were crucial to my progression, having 30 BHP doesn't sound like much but when the kart only weighs 100kg and revs to 18,000 Rpm, they were extremely quick. In the dry, I would be lapping the full Buckmore Park International circuit in 38 seconds! When you compare the two, Owner Driver Karting is a very different world to hire-karting, but they both have their perks. In hire-karts, everything is supplied for you, it’s as simple as turning up on the day and enjoying that first step into competitive racing, it’s so accessible that anyone can do it. In O/D karting you have 2 day race weekends as a minimum, and sometimes they can last 7 days like they do in the World Championships. The same gigantic motorsport trucks that you see in Formula 1 fill the race circuits paddock. 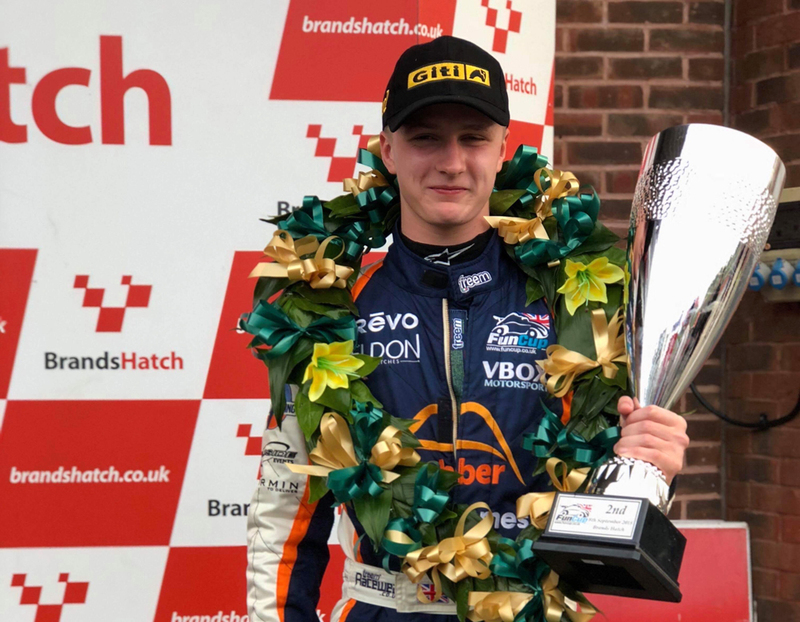 During the 2016 karting season, I ended up making contact with Jay Shepheard (Grade S ARDS Instructor and former British GT and Britcar Winner) who was setting up an academy for drivers looking to move from karting into car racing. I spent a winter testing and with coaching from Jay, I completed my ARD’S test at Donington Park having had no previous experience in a road car and thankfully, I was a lot more controlled than when I drove a kart for the first time. The challenge was then choosing what car series to compete in as I have a twin brother who also races. We looked into racing Ginettas with a car each, which sounds like a good idea until you dig into the costs involved of running two cars, unfortunately, that wasn’t possible on the budget we had. Instead, we looked into team endurance racing which would allow us to share a car, that’s when we stumbled across the FunCup. At a glance they may not carry the same sleek and striking look that cars from the WEC have, but let me assure you, with rear wheel drive, no driving assists, 140bhp and a sequential gearbox in an 800kg body, they are proper race cars and a challenge to drive. There are usually grids of 35 cars and racing takes place at all the UK circuits. It's a fantastic series and has a great mixture of new drivers and professionals. 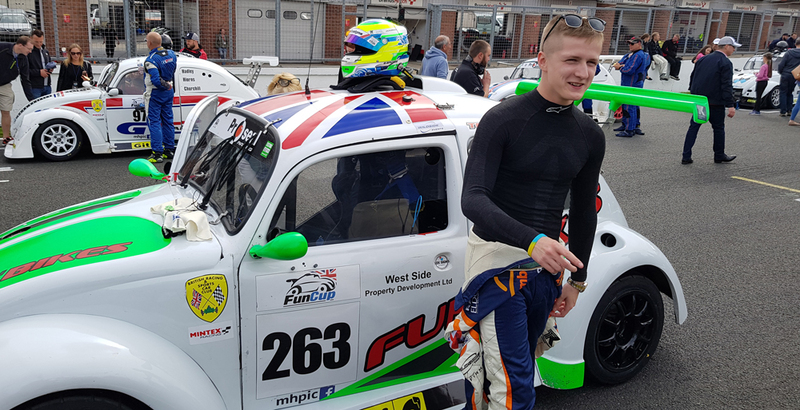 We completed a winter testing program and in my first season of FunCup we had a few top 10 finishes and challenged at the front of the field on a few occasions to finish 7th in the Championship out of 40. We were also awarded the highest place rookie award. Into our second season, we really found our feet and were on the pace instantly, with two podiums at Silverstone and Brands Hatch, as well as a top 5 finish in Zandvoort (Holland) which mean we finished the season in 6th overall out of 40. Overall, I have thoroughly enjoyed my journey in Motorsport and hope that it continues. I will always look back on my years competing, the people I have met, the experiences and the travelling with fond memories. For those looking to make the transition from Junior Club to Owner Driver, beware that it is very challenging and I would not take the jump unless you have a serious commitment to progression. 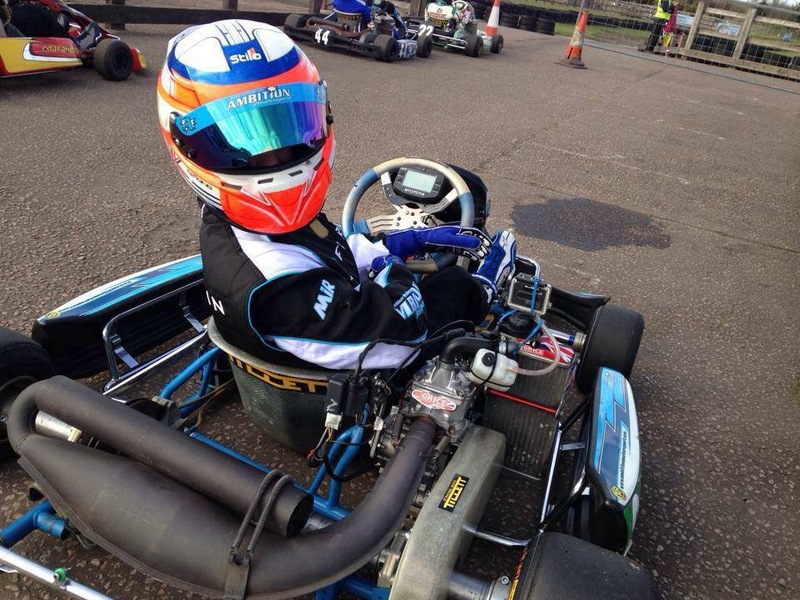 If you just love racing and don’t want to take that plunge then there are still plenty of hire-kart options to satisfy any level of experience and plenty of fun to be had doing so. If you’re already an owner-driver and have the opportunity to move into a tier of car racing, I would highly recommend it. But, before you do so, I think it is important that you get as much seat time as you can in any and everything you can before seriously considering that move. Lastly, above everything else, you need backing and lots of it to move into car racing. There are programs and scholarships out there to help you but it will come as no surprise that competing in Motorsport does not come cheap, for those that are not lucky enough to be picked up by an Academy you will need to hunt for backing as that will definitely get you further than talent alone.